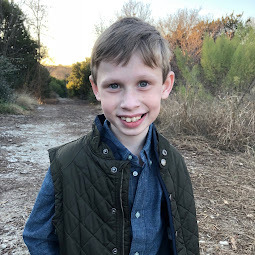 Bennett Brinson Gamel: Fighting Cystic Fibrosis: Happy Birthday, Bennett! 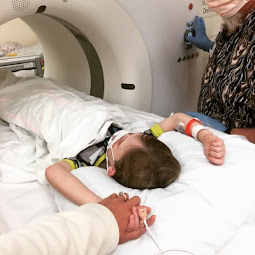 I was so busy doing life and celebrating Bennett's birthday yesterday, I didn't even have a chance to sit down and write this post yesterday. 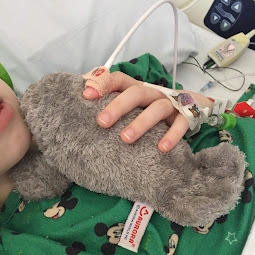 But I wanted to share a few thoughts as we have arrived at Bennett's 6th birthday. Bennett is thrilled he is now 6. There is so many things he is celebrating: Kindergarten. Missing his first tooth. Learning all of his letters. Finding best friends. Brian and I celebrate all those things and much much more. Behind closed doors, Brian and I are celebrating having made it six years since Bennett's Cystic Fibrosis diagnosis. We celebrate that Bennett's lungs are still very healthy. We celebrate that six years in age is an important year with regard to CF clinical trials access. Drugs are most available to trial for those 6 and up. It gets even better for us once he turns 12. We celebrate that we, too, are doing well - our marriage and our family. 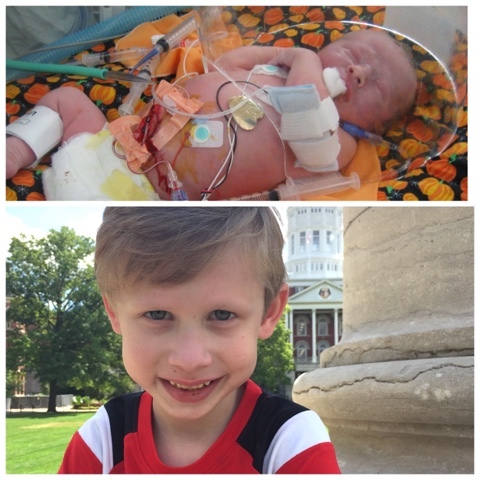 Bennett's CF at birth was rough and there have been many moments that have felt like an uphill battle. But today we celebrate that the battle with CF is, in this moment, in the shadows. Today we celebrate good health and a little boy who is thriving! But, most recently, as things have improved with his health, the moments are clipping by a bit faster. Our biggest celebration today at 6 is a personal one. I'll never forget that moment when I sat in the cold plastic chairs at Children's Medical Center in Dallas at the CF Education day looking up at the big screen with a slide placed before myself and the other CF families around me. The slide, which I have yet to ever been able to find again, showed how acquiring bacterias for CF patients can affect their overall life expectancy. It was clear that the longer a person with CF gets without acquiring an infection, the longer their life expectancy. I prayed for 6. "If we can just get to 6," I prayed deep within my heart. "I know how this goes. I know the end of the story, if we don't get a cure. But can we just get to 6?" And here, we are. He is 6 and has yet to have an infection. So, today, I am incredibly thankful for this moment...for 6 years of healthy lungs. The day will come when I will get the call that he has acquired an infection. It's inevitable. So many CF families have already experienced it, much before the year of 6. So many have not and will not for many more years. I don't know why some CF lungs acquire infections/bacteria early and others late. Brian and I have little control over CF's path. So much of CF is environment and genetics. But none of that stuff really matters anyway. My sharing this is only that it's my personal thankful moment to be here at 6 and be as healthy as I had prayed he could be. Kindergarten. Missing his first tooth. 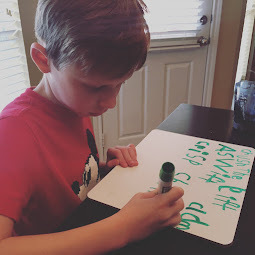 Learning all of his letters. Finding best friends. New access to clinical trials. Clean lungs. Having made it. We've all made it to 6! Hello Breck, my name is Kara Crawford. I'm trying to get in touch with you, but your number got cut off in your voicemail to me. Please feel free to trying me at 512-463-9036. I look forward to visiting with you on new CF treatments and wish little Bennett a belated happy birthday! !